There’s no doubt that your bridesmaids are an integral part of your wedding, so you want to show your appreciation for them, right? Absolutely! Make sure the gifts you choose for them are unique so that they’ll feel special. You probably chose your bridesmaids because they’re strong, awesome, wonderful women in your life and you want them standing beside you on one of your most special days. Therefore, you don’t want to give them a generic gift that doesn’t show any heart! Here are ideas to show some love without breaking the wedding budget. What woman doesn’t like jewelry? Make your shiny gifts personalized for extra sentimental value. This could take the form of charms or pendants bearing the initials of their names that they can wear on bracelets or necklaces. This is a timeless gift idea that they will enjoy for many years to come. Another idea is to get all your bridesmaids the same item of jewelry, with an inscription of your choice that reminds them they’re special to you. Another gift idea is beauty-related and you have loads of options at your disposal here, from stylish makeup compacts to makeup bags. You could also place purchased makeup products, such as lipsticks and lipglosses, into gorgeous boxes that are gift-wrapped or monogrammed with their initials. Or, make the gifts yourself, such as by creating sparkly body lotions or scented body scrubs. A delicious one to DIY is a lemon scrub. 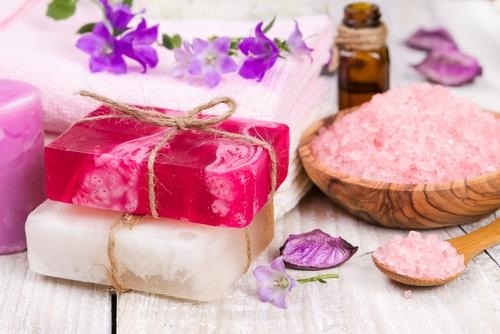 These homemade ideas are great for a bit of pampering, especially after your favorite girls have been on their feet all day! Although you might think gift certificates can feel a bit mundane, if they’re for something specific and enjoyable they could actually work. 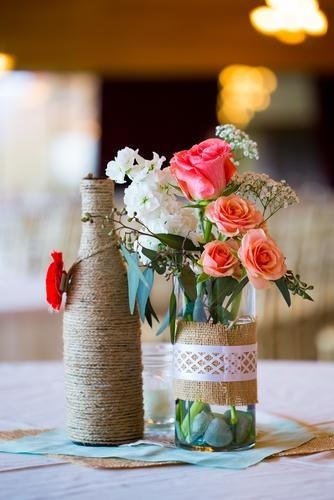 You can even tie them to the theme or venue of your wedding. For instance, if you have a beach wedding you could give your bridesmaids gift certificates for a spa treatment. In this way, gift certificates can become a bit more special. Sometimes a little sweet treat can be very satisfying, so consider giving your bridesmaids something delicious they can eat. Focus on dessert ideas that are colorful and can be wrapped prettily. 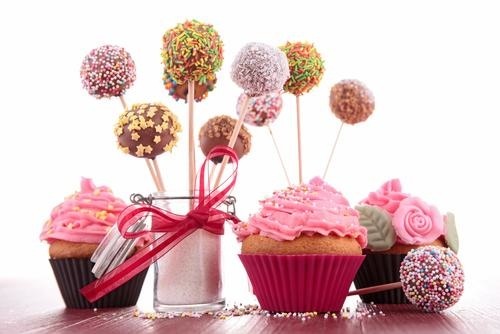 Ideas could include fun cake pops, bright macaroons or cupcakes that contain cupcake toppers to give them extra personality. This is a fun idea that they can enjoy. Want a bit more party spirit? Team the sweet treats with small bottles of bubbly! You don’t have to give your bridesmaids gifts at the end of the wedding. You could spoil them a bit before your wedding begins, such as by letting them have their hair and makeup done professionally. This is a lovely treat since everyone will want to look their best in all the photos, plus the time spent together while you get done up can be filled with chatter and laughs. So, you’ll not only be giving them a gift, but also be making memories together. Giving your bridesmaids a clutch or purse is a practical and clever gift - they can put in all the accessories they’ve amassed at your wedding plus be able to use it again and again. Slip in some tissues so that they���ll have them handy during the emotional ceremony or a sweet note thanking them for sharing in your big day. When you’re the bride, you’re the star of the show. But choosing a heartfelt gift for your bridesmaids gives them a bit of the spotlight too, making it a sweet day to remember for everyone. What creative gift ideas are you doing for your bridesmaids?